Line and define better than ever before. 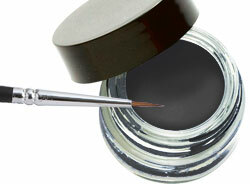 This highly-pigmented, waterproof, smudge-proof, long-wearing gel eyeliner will glide on smooth and easy. Use Brush #604 for the perfect line. (Brush not included in image).